Editor: I would like to offer the following comments in response to the letter of Canada Lands Corporation VP Gordon McIvor to The Guardian on Monday, March 26, 2007. 1. Mr. McIvor mentions that his corporation engaged in a process involving government officials and public stakeholders in considering the development of the Upton Farm lands. Unfortunately, he fails to mention that the option of leaving the land as it is was never put on the table for the public to review. Therefore, the entire process has been slanted against the idea of green space. 2. Mr. McIvor’s comment about public input in the CLC process can only be seen as absurd. Obviously, the opinion of the hundreds of citizens that are now seeking to stop the development was not adequately included. The public may not have had a voice before but surely Mr. McIvor can hear the message loud and clear. 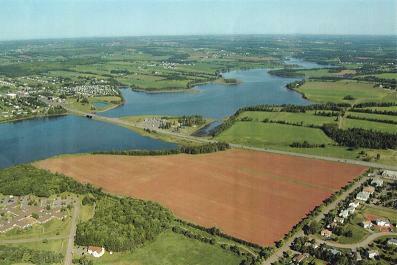 The citizens of Charlottetown are saying no to this development. There is no reason why public input should be discounted now and our land should not be held hostage by a faulty bureaucratic process. 3. Mr. McIvor’s reference to the CLC plan protecting the existing ecosystem displays a profound lack of environmental understanding. When compared to leaving the entire space as it is, adding a few patches of grass between the houses has almost zero ecological significance. Large natural areas must be preserved to ensure ecosystem integrity. Had CLC actually done an environmental assessment of the property, they might have some knowledge of these considerations. In sum, I find it very sad in our democratic society that a government agency argues with citizens about what to do with our land. CLC may be presenting this development as a done deal but it is not too late for citizens, through their duly elected officials, to do what is right. An important environmental and cultural asset is in danger of being sacrificed for a subdivision. I urge city and provincial officials to find a way to save this piece of land for the benefit of future generations. This entry was posted on March 29, 2007 at 2:27 am and is filed under Letters to the Editor, Media. You can follow any responses to this entry through the RSS 2.0 feed. You can leave a response, or trackback from your own site. Go Hans! Great letter…….well said.